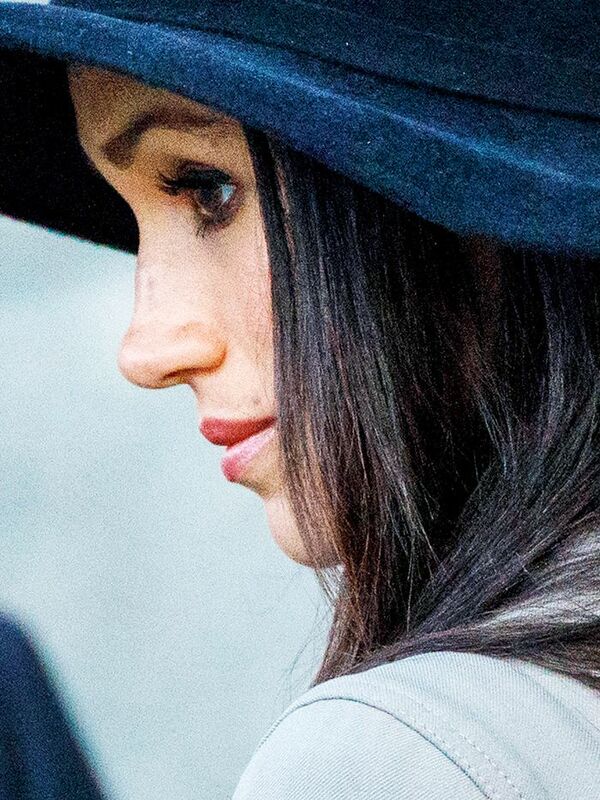 Meghan Markle and her mother Doria Ragland just arrived at the Cliveden House Hotel ahead of the royal wedding tomorrow morning, and Meghan added fuel to one of this week’s growing wedding dress rumours. On the eve of the much-anticipated event, Meghan wore a classic navy fitted dress by her friend Roland Mouret. Could this be a not-so-subtle hint about what she’ll wear tomorrow? Meghan opted for a classic navy Roland Mouret design, which featured a signature silhouette with capped sleeves, a flattering knee length and interesting modern design details (thanks to the asymmetric neckline and elegant, draped skirt). Meghan paired the simple, but sophisticated, dress with a pair of dove grey pointed court shoes. The dress is—at the time of typing—still available to buy for £1350 at Selfridges. 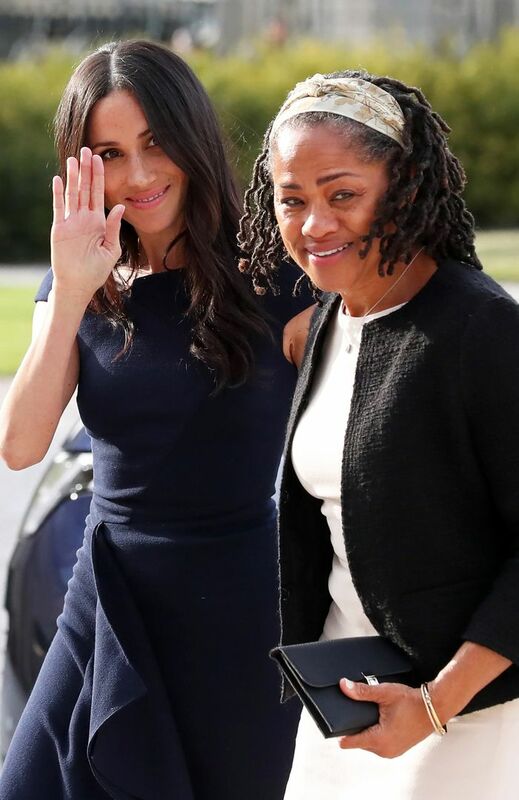 Her mother Doria dressed in a similarly classic style to Meghan, wearing a cream shift dress with a black collarless tweed jacket and an envelope clutch.